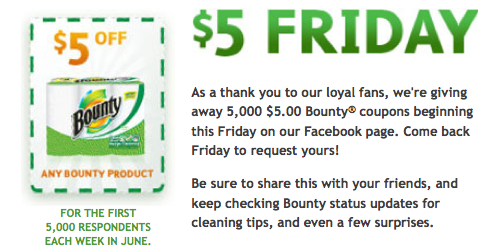 Just a reminder, the Hot $5 Bounty Coupon giveaway will be available again today, 6/24. The giveaway will take place twice today. Once between 8-10 am EST and the second between 10am – 1pm EST. 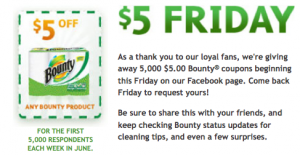 Each time they will give away 5,000 coupons so you have to act quickly. You will get this coupon via regular mail. Old Navy Tankathon Pre-Sale Coupon – $2 Tanks!